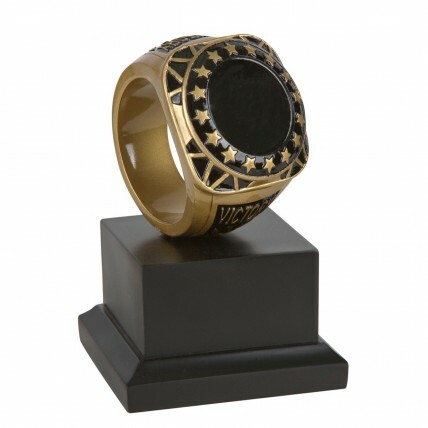 Celebrate your fantasy football league champ with the Victory Fantasy Football Ring Trophy! Measuring 5 1/2" tall, this fantasy football trophy features a gold and black ring with the words 'Victory" around the edge. The square black base holds 4 lines of your personalized engraving, etched for FREE!